While ad agencies are finally beginning to embrace project management software, many are still battling the daily chaos of managing projects with traditional tools such as email and spreadsheets. Without the right tools, the cycle of miscommunication perpetuates leading to a decrease in productivity and ultimately ROI. 68.8 per cent of respondents indicated that poor communication was the “greatest barrier to agency productivity”. Conversely, 64.5 per cent who implemented agency management software saw an “increase in ability to meet deadlines”. In today’s fast-paced digital environment, ad agencies are having to do more work with less resources. In fact, the 2018 Agency Productivity Report found that more than half of the agencies surveyed are grappling with 250 plus creative projects per year. Many respondents also believe they’re over servicing clients with scope creep. No doubt traffic managers in general are struggling to allocate resources across a rapid-fire work schedule, often having to rely on freelancers (an added expenditure) to play catch up. In addition, agencies are still using email approvals to manage feedback, a process which is time-consuming and known to drive up artwork revisions. In the absence of digital asset management (DAM), assets are also likely to be difficult to locate which eats into more productivity time. Imagine a tool that enables you to improve the way you manage your creative projects, from briefing and allocating resources all the way through to approvals and saving final assets. This intuitive software eliminates the need for using email to manage feedback and approvals. 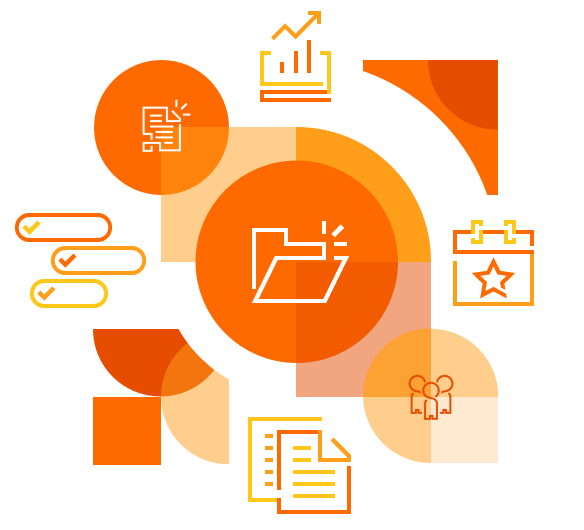 It consolidates all of your project documents and files in an online, user-friendly solution that provides more transparency and control over your projects, approvals, resources and assets. Agencies that do not adopt project management software risk being left behind by agencies that have implemented a solution and are reaping the benefits. The Production Operations Director at DDB Sydney, Mike Crabtree, spoke on a panel about marketing operation platforms at Mumbrella 360. He revealed that prior to adopting a project management tool their artwork revisions were extremely high due to email and text approvals. Crabtree saw a “seismic shift in the speed and velocity” of project work once a tool was adopted. The software has been so beneficial that he would never consider going back to traditional tools to manage projects. Director of Delivery & Operations at Edge Agency, Jo Giles, who also spoke on the panel has implemented project management software across two agencies now. Prior to working with the software, Giles was well versed in messy job bags where documents would often go missing. Giles lauded the transparency of project management software and its resourcing feature. She also highlighted how the software puts the focus back on creative work rather than administrating projects. Judging by the Marketing Technology Landscape Supergraphic, ad agencies and brands alike are not short on software options to streamline their operations. An increase of nearly 1,500 solutions in the marketplace compared to 2017 has proven that more is not always more. With so many tools on offer, many businesses are falling into the trap of implementing multiple standalone solutions. In the case of managing creative projects, with a little more research you can adopt one comprehensive tool with a range of integrated features. What benefits does the software offer? Streamline your creative projects from start to finish with comprehensive briefs, task allocation tools, straightforward approvals and a secure location to save final assets. Clunky email approvals and project spreadsheets become redundant. Project management software creates a unified framework from which to plan projects and resources. Never miss a stakeholder in the approval process ever again with inbuilt approval workflow management. Schedule agency resources with user-friendly tools that provide transparency and ease when assigning and reassigning jobs. Work as a united team with transparency over a live resource planner and all projects on the go. Decrease artwork revisions with online proofing tools. Feedback has never been clearer. Approvals have never been faster. Agency resources can track their time so that you can better estimate resources for upcoming projects. The tool can also save tracked time to online timesheets to further eliminate tedious admin. Always know where you’ve been and what you’ve been doing with an automatic audit trail of work. No more lost time looking for missing assets when you have an inbuilt DAM feature. Share assets to approved users anywhere in the world with just a few clicks. Keep abreast of your productivity with the software’s tracking and reporting tools. Increased productivity, speedier turnarounds, less compliance risks, better quality! Get a good night’s sleep knowing you finally have control over your work. As discussed earlier, there are many solutions available in the marketplace so how do you know which software is the right one for you? 1. What are our requirements? For example, one of your requirements might be that you need a resource management feature as you’re having trouble allocating resources in a timely, organised manner. Another requirement might be that you need to drastically reduce your artwork revisions, so mark up tools and approval workflow management are a must. 2. Do I need buy in from all of my team and agency stakeholders? The simple answer is yes. The more feedback you get about the challenges the software needs to solve, the better the fit is going to be. This also helps in the implementation stage as team members will feel like they have a stake in the selection process and will be more likely to adopt the tool. 3. Do we need a project management tool that can be customised? Absolutely worth considering as while the software needs to meet your key requirements, it’s also useful if it can cut down on unnecessary admin with templates, approval short cuts and intuitive search tools. Don’t miss this question! Without a doubt, the tool needs to be able to manage every file type you use or intend to use in the future. 5. Is the system user-friendly? While you want to implement a comprehensive tool, you don’t want a complicated system that’s difficult to understand. When you’re researching software, be sure to check out a demo of the system to ensure it is user-friendly. 6. What are the features and do they match our requirements? You don’t want to adopt a tool that is missing features you need. Neither do you want one that has too many features you’re never going to use. Get a clear understanding of the features of each system and see if they’re a match with your requirements. 7. Is the software cloud-based? So many agencies today have remote workers, freelancers on the books or are working across borders. You definitely want a system that enables any approved user to log on from anywhere to access project files. A cloud-based solution can be accessed anywhere there’s an internet connection. You might have to put a business case together in order to get approval to implement a system. Cost is going to be an important factor in the decision making. 9. Is the system provided by a local vendor? Some agencies and brands are staying local when selecting a project management tool for the simple fact that they have access to the dev team in realtime for any updates or changes. 10. What kind of training is involved? It’s critical that the vendor offers onsite training and ongoing support to ensure that the adoption phase is as streamlined as possible. Check that all users are available for training. For anyone who misses training, have a contingency plan ready. Designate a champion for the software. This is not just someone who’s going to extoll the virtues of the system, but someone who also understands that change isn’t always easy and some users might need a bit of extra encouragement and support. Having a champion really does make a world of difference. Mark a day on the calendar when it is mandatory for everyone to dispense with all old tools and practices, otherwise you risk people returning to old habits and you won’t get the uptake you want! Have training manuals and videos on hand for anyone to reference when required. These will be especially handy for new staff. Track the changes you experience over the next few months to see how things have changed. In fact, you can use the system’s handy reporting tools to review your progress.